In 1919, Charles W. Benedict returned to Riverside, where he lived as a child, and built his dream home, a Spanish style castle he named “Castillo Isabella.” After building for ten years, construction was finished in 1931 and Benedict lived there for seven years until his death in 1938. His wife continued to live at the castle until 1949. The castle was then sold to two individuals who owned it for three years. In 1952, it was sold to a Catholic group, the Servants of Mary (Order of Servites). In the late 1960s, Teen Challenge’s growth required us to look for larger quarters where young men in our drug addiction recovery program could go for further spiritual training and academic and vocational preparation before re-entering society. In 1970, the castle was listed for sale. The directors of Southern California Teen Challenge heard about the pending sale of the castle and sent representatives to determine if it was a good fit. A series of miracles permitted Teen Challenge to buy the castle in 1971. Miracle number one was that the asking price for the castle was reduced by $100,000, enabling Teen Challenge to purchase the property. Number two was overcoming the concerns of the neighbors and the city of Riverside. Through prayer and the help of local churches, Teen Challenge won the hearts and minds of all who were initially opposed to a residential treatment center in the community. Kevin Mooney became involved with drugs at the age of 14 and for many years lived the life of a functioning addict. When he was arrested for being under the influence of meth, he knew he needed help. He entered Teen Challenge in 2002 and though it was a difficult journey, he persevered and graduated in 2003. At that time, he became an intern in Riverside, and then was offered a staff position to oversee Inland Empire Teen Challenge’s large car wash operation, often overseeing washing and preparing 3,000–4,000 cars for an auto auction the following day. 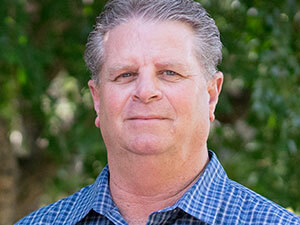 After a time he became Superintendent of Operations of the Inland Empire Teen Challenge men’s center in Riverside. In 2014, Kevin became the Director of Inland Empire Teen Challenge. School Teams reach more than 8,000 students each year, including during Red Ribbon Week. Choir and Drama Teams visit many churches, organizations and other places, sharing their personal testimonies that bring a message of hope. Outreach Teams work with different businesses and ministries to strengthen our community. 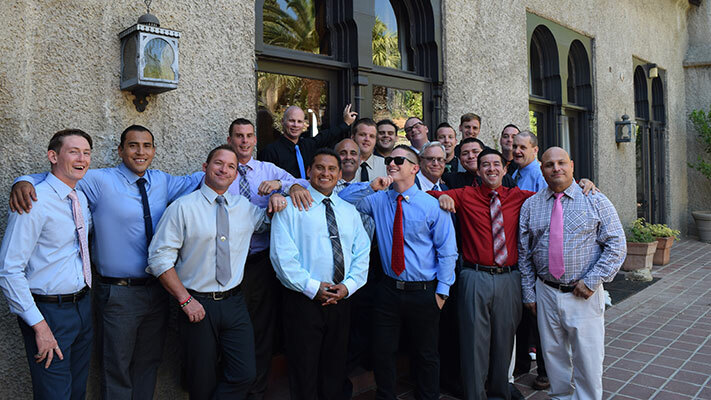 Upon successful completion of the three- to four-month Induction Phase at one of our regionally located centers, male students are sent to our long-term residential Christian Life Center in Riverside, California. This part of the program is nine months plus a four-month apprenticeship that is served in one of our Southern California centers. At the Christian Life Center in Riverside, students begin intentional discipleship that brings about life transformation. Chapel services, classes, growth groups and vocational training are part of the weekly discipleship curriculum. Through cooperation with the local school system, it is highly encouraged for students to complete their high school education or acquire a GED certification if applicable. Vocational training is also provided to help the student successfully re-enter society upon graduation. Teen Challenge utilizes a peer-to-peer model for discipleship during class work, recreation and free time. Students are brought together from different ethnic, cultural, social, and economic backgrounds and this alone can be a large part of a student’s growth experience. Skilled advisors, most of whom are former graduates, are on-hand to help students make the changes essential to victorious living in society. The nine-month Riverside Christian Life Center is divided into four phases. Each phase helps the student grow spiritually, emotionally, socially, physically, and mentally. Upon completion of the Teen Challenge curriculum, the student participates in a graduation ceremony and is awarded a diploma.